The site of a university makes a significant contribution to the leisure and inspiration conducive to learning, but what makes a center of learning truly important is its ethos and its professors. Newman remarks on the beauty of the site chosen for the University of Louvain in Belgium. He quotes Anthony á Wood who speaks of the requirements for the location of a university: “First, a good and pleasant site, where there is a wholesome and temperate constitution of the air; composed with waters, springs or wells, woods and pleasant fields; which being obtained, those commodities are enough to invite students to stay and abide there” (The History and Antiquities of University of Oxford). Newman remarks that this is what the Britons chose when they began a school for the study of Latin, initially known as Bellositum or Bellosite, perhaps for its beauty, and later Oxford. Others reasons for the selection of Oxford as the site have been given, such as its geographical location in the middle of Southern England, its communication with London via the Thames River, and its protection from invaders by the fortifications at London or its surrounding marshes. 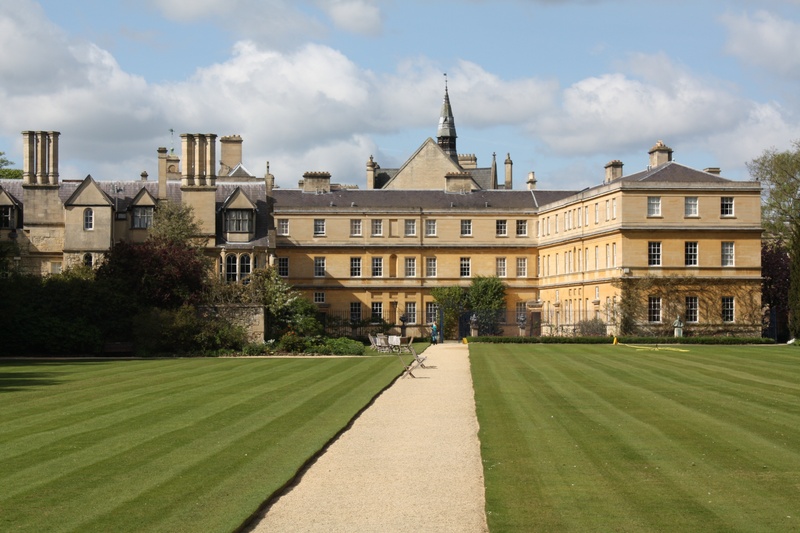 Newman laments that Oxford is no longer the defender of Catholic Truth as it once was, yet its location and exterior appearance are those of a great university and maintain its fascination. He quotes at length a description of Oxford from Victor Aimé Huber’s English Universities: “There is scarce a spot in the world that bears an historical stamp so deep and varied as Oxford; where so many noble memorials of moral and material power, cooperating to an honourable end, meet the eye all at once. He who can be proof against the strong emotions which the whole aspect and genius of the place tend to inspire, must be dull, thoughtless, uneducated, or of very perverted views. Others will bear us witness, that, even side by side with the Eternal Rome, the Alma Mater of Oxford may be fitly named, as producing a deep, a lasting, and peculiar impression.” The same author gives a description of architecture of the colleges, university buildings and churches, a monument to higher education amid the active and prosperous trade of the town. Thus, as much as the natural beauty of a site and the architectural beauty of buildings contribute to a university, it is the spirit and culture that animate it which make it great. It is the teachers and staff which embody this ethos and gather others around this ideal which make it prosper.